Namaqualand is an arid region of Namibia and South Africa, extending along the west coast over 600 miles (970 km) and covering a total area of 170,000 square miles/440,000 km². 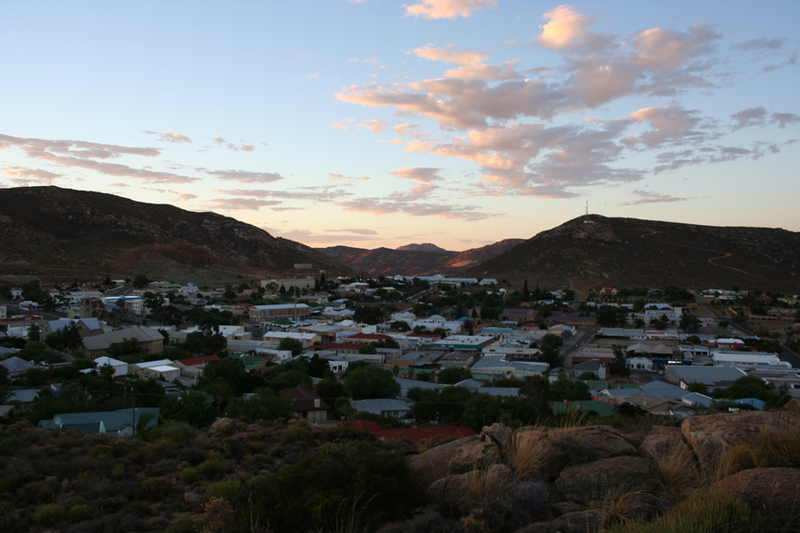 A typical municipality is Kamiesberg Local Municipality. 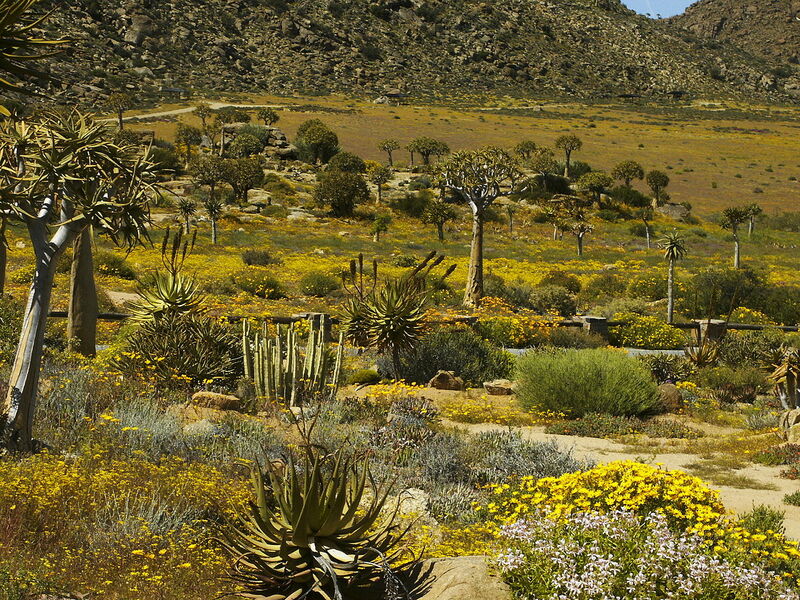 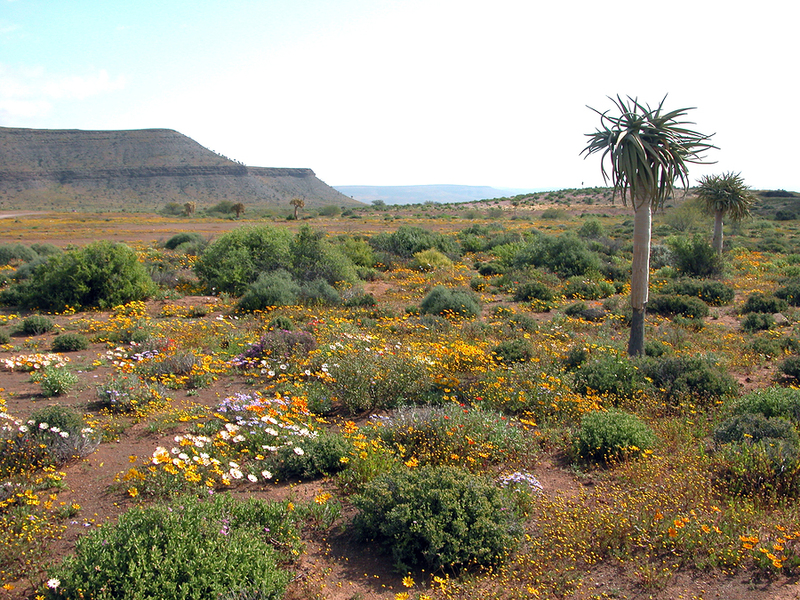 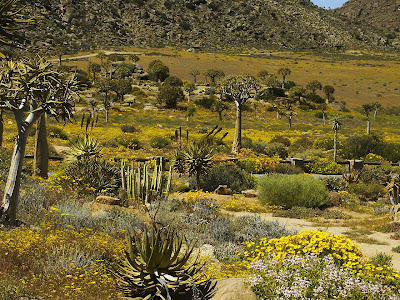 Great Namaqualand is in the Karas Region of Namibia. 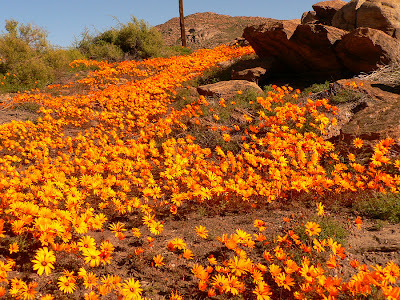 Great Namaqualand is sparsely populated by the Namaqua, a Khoikhoi people who traditionally inhabited the Namaqualand region. Some of the more prominent towns in this area are Springbok, being the capital of this region. 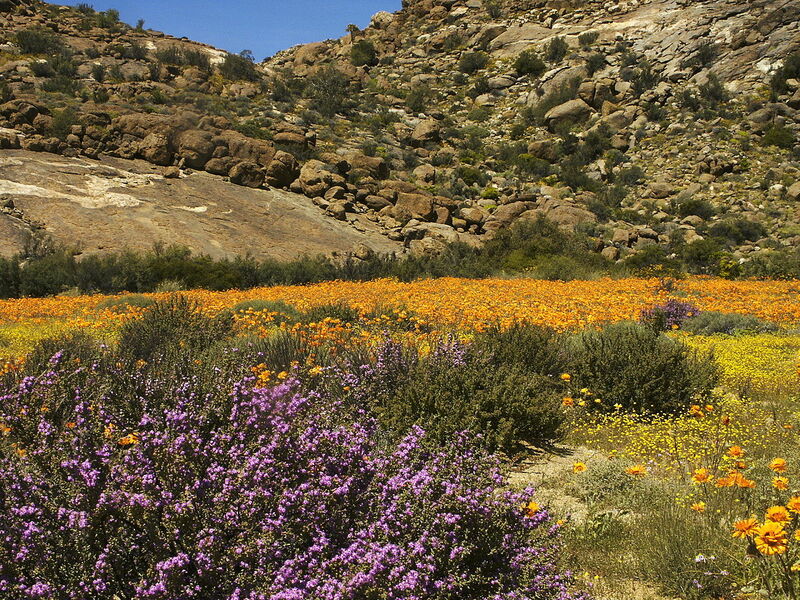 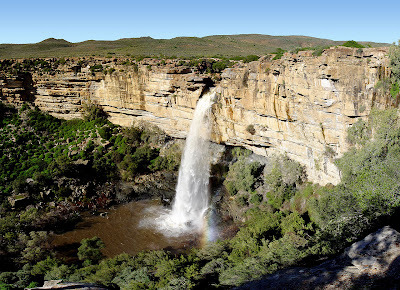 This area is quite rich in alluvial diamonds deposited along the coast by the Orange River. 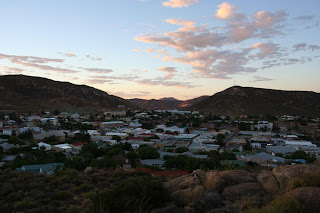 Oranjemund is another mining town along this coast. 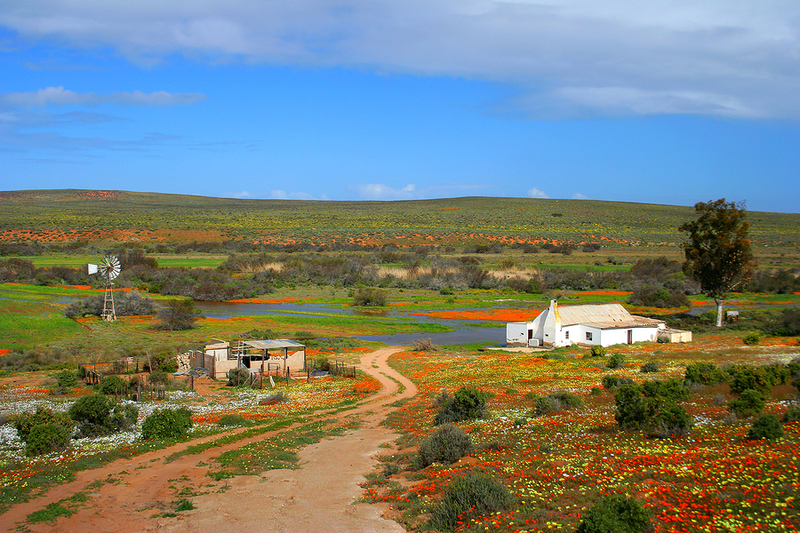 There is a vibrant fishing industry along this stretch of the South African west coast.Namaqualand is quite popular with both local and international tourists during early springtime, when for a short period this normally arid area becomes covered with a kaleidoscope of colour during the flowering season. it has one of the highest percentages of Afrikaans speakers in the world, with over 95% of the population speaking the Afrikaans Language.